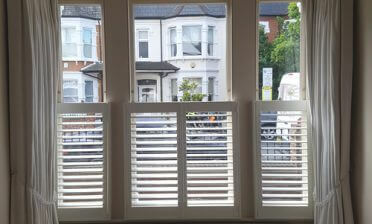 These shutters were created for a client in South Norwood, which is an area of South East London. The customer was looking to upgrade his window dressings from drab net curtains to some new stylish shutters. Not only do they look fantastic in comparison, but the functionality and advantages far outweigh any basic dressing. The new customer wanted to keep privacy in the rooms from neighbouring buildings while also allowing maximum light into the rooms. One of the best ways of achieving this is with our Cafe Style Shutters, which provide a fully adjustable shutter panel on the bottom section, with a smaller fully open section which allows unrestricted light into the rooms. 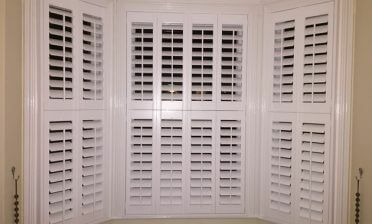 By installing these shutters with a 3 sided insert L frame the client is able to add shutter panels to the top section if they ever require in the future, creating tier on tier shutters. 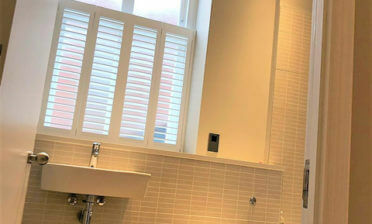 It is a great way of futureproofing the shutters for the client or even new owners of the home if the home is ever sold. 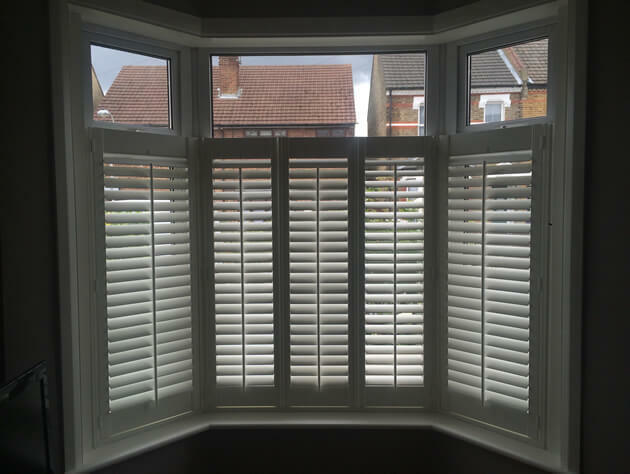 The shutters were installed by Jamie to 3 windows, using MDF with 64mm louvres and central tilt rods for ease of adjustment. They were finished in silk white with matching white hinges. 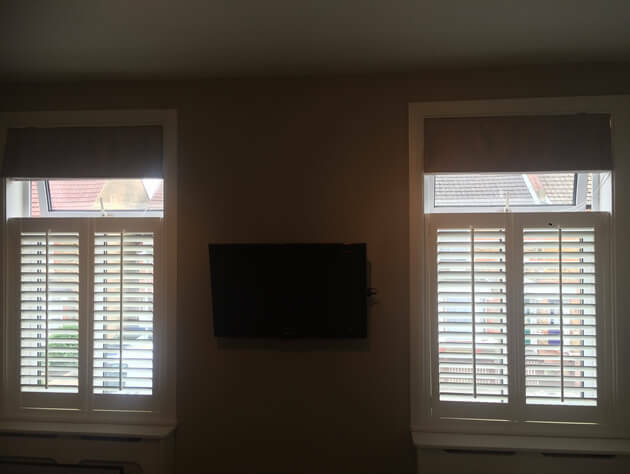 These shutters have really transformed the rooms of this home and also helped the client meet his exact privacy and lighting requirements!